Child insomnia occurs when children don’t go to bed on time unless a parent or guardian enforces a bedtime. If the children are made to go to bed on time, then they tend to fall asleep at a normal hour. If they are not given strict bedtimes, then they may linger awake for hours at night. This disorder occurs in children. Adults may also have varying bedtimes and poor sleep schedules. But they have other types of sleep disorders, not child insomnia. Assess the habits of all parents or guardians who help put the child to bed. The child often pushes the adult to allow this sleep pattern to occur. The adult normally has no idea how it all began. First consider starting a strict bedtime with the child. The adult should not allow the child to “bargain” for drinks or stories after the formal bedtime is reached. The child should basically go to bed and stay there until morning. By simply enforcing a bedtime, this disorder should stop on its own. There should not be a need to see a sleep specialist. The adult has to overcome the crafty tactics of a small child who is trying not to go to bed. If you discuss this problem with a doctor, bring a completed sleep diary. Keep track of the times that the child goes to bed and wakes up for two weeks. You should also chart the times when the child wakes up during the night. List any ways the child tries to stay awake at bedtime. Include how the adult reacts to these actions. For example, the doctor needs to know if the adult lets the child get up 10 times for a glass of water every night. This will help the doctor to recognize and treat child insomnia. No tests should be needed to detect child insomnia. The child’s history of going to sleep and waking is normally enough to pinpoint this disorder. An actigraph could be used in extreme cases. This is a wrist watch that records when people are awake and asleep. But this is rarely needed to find this disorder. Child insomnia is best treated by having the adult set firm limits. If bedtime is 8 p.m., then the child should be in bed by 8 p.m. There should be no reason for the child to get out of bed over and over again. You can take away things the child enjoys or create an awards system as an incentive. A more strictly enforced bedtime can be achieved with good success. This will produce an improved sleep pattern and will benefit the child. Children should fall asleep in their cribs or beds without being rocked to sleep. If a child must be rocked to sleep, then the child will not learn how to go to sleep without the parent’s help. It is normal for a child to wake up during the night. Adults even wake up for a few minutes several times per night. Helping a child learn to fall asleep in bed benefits both the child and the adult. As the leading voice in the sleep field, the AASM sets standards and promotes excellence in sleep medicine health care, education and research. 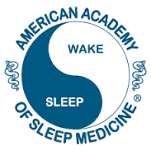 The AASM has a combined membership of 11,000 accredited member sleep centers and individual members, including physicians, scientists and other health care professionals.